As federal officials remain silent on sales and distribution details about a soy-based peanut butter substitute linked to a nationwide E. coli outbreak, secondary recalls of products made with the tainted soy butter have begun, leaving consumers to wonder how long they will have to wait for companies to voluntarily reveal how many more foods are potentially contaminated. 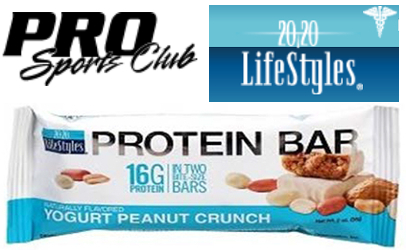 The recalled “Yogurt Peanut Crunch” protein bars, packaged under the 20/20 Life Styles brand, were sold at Pro Sports Club locations in Washington state and nationwide via the 20/20 website, according to the recall notice posted Friday on the Food and Drug Administration’s website. Pro Sports Club of Bellevue, WA, is recalling almost 37,000 individual bars, sold between Aug. 8, 2016, and March 10 this year at its Bellevue, Redmond and Seattle locations. The recall did not indicate the volume of protein bars purchased by online customers. Consumers can identify the recalled “Yogurt Peanut Crunch Bars” by looking for the 20/20 Life Styles brand and the code “B.B. 22JUL17” on the wrappers of the 2-ounce bars. The recalled bars are also marked with the UPC number 78571 00052. No illnesses had been reported in relation to the protein bars as of Thursday. However, at least 23 people in nine states have been confirmed with the outbreak strain of E. coli O157:H7 that has also been isolated from opened and unopened jars of I.M. Healthy brand soy butter from the SoyNut Butter Co., according to the Centers for Disease Control and Prevention. “The recall was initiated after our manufacturer notified us that the ingredient used in the Yogurt Peanut Crunch Bars was recalled by supplier SoyNut Butter Co. of Glenview, IL, because it was found to contain E. Coli O157:H7,” according to the recall notice from Pro Sports Club. Consumers who have eaten the bars and developed symptoms of E. coli infection should seek medical attention and tell their doctors about the possible exposure to the pathogen. Symptoms of E. coli O157:H7 bacteria infection include diarrhea, often with bloody stools. Although most healthy adults can recover completely within a week, some people can develop a form of kidney failure called Hemolytic Uremic Syndrome (HUS). HUS is most likely to occur in young children and the elderly. The condition can lead to serious kidney damage and even death. Of the 23 confirmed E. coli victims in the soy butter outbreak, 20 are younger than 18. Ages range from 1 to 48 with a median age among victims of 8 years old. Ten of the victims have had symptoms so severe they required hospitalization and seven of them developed HUS. Twenty of the 23 victims reported eating I.M. Healthy brand soy nut butter products in the days before they became ill.
On March 7, the SoyNut Butter Co. recalled all varieties of its I.M. Healthy SoyNut Butters and all varieties of I.M. Healthy Granola products. 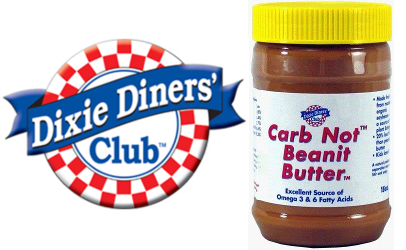 On March 10 the company expanded its recall to include Dixie Diner’s Club brand Carb Not Beanit Butter. “CDC recommends that consumers do not eat, and childcare centers, schools, and other institutions do not serve, any variety or size of I.M. Healthy brand SoyNut Butter, I.M. Healthy brand granola, or Dixie Diner’s Club brand Carb Not Beanit Butter, regardless of the date of purchase or the date listed on the container,” according to the most recent outbreak update from the CDC. While FDA and CDC have both named the SoyNut Butter Co., but neither agency has named the actual manufacturer of the soy paste, which is aggressively marketed to schools, childcare centers and nursing homes as a safe, non-allergic substitute for peanut butter. Several civil lawsuits filed by victims and parents of victims have named Kentucky-based Dixie Dew Products as the manufacturer. The FDA does not release information about food companies’ sales of products or bulk ingredients during outbreaks or recalls because of a clause in federal code that provides for such “confidential corporate information” (CCI) to be kept from the public. “The FDA can confirm that the agency is investigating the SoyNut Butter Co. and its contract manufacturer,” according to a statement from a spokesperson at the Food and Drug Administration provided to Food Safety News on Monday afternoon. Editor’s note: eFoodAlert.com has begun compiling a list of retailers that sold the recalled soy nut butter products. The list will be updated as information becomes available. Click here to view it.